Euro Image Med Spa proudly offers laser skin resurfacing using the Pixel Laser, which is the only skin resurfacing treatment on the market with no downtime. This efficient and effective laser was introduced to the market in 2006, and it has forever changed the way in which we resurface the skin. The technology used by the Pixel is referred to as ‘fractional ablative technology’, which is what allows for zero downtime when rejuvenating aged or sun-damaged skin. While all other laser treatments on the market today for skin resurfacing come with some recovery time, this is not the case with the Pixel. Here at Euro Image Med Spa, we believe in providing our patients with the highest quality services utilizing state-of-the-art technology. When it comes to skin resurfacing, we are committed to using the Pixel laser in order to dramatically improve the skin without causing any discomfort or downtime. This is just a short list of what we can use laser skin resurfacing to treat. To schedule an appointment with one of our professionally trained cosmetologists, please give Euro Image Med Spa a call today. The Pixel laser is ideal for individuals suffering from sun-damaged skin, fine lines, wrinkles, stretch marks, pigmentation changes, acne scars, rough skin, and enlarged pores. It has also proven to be effective in reducing fine lines and tightening the skin on the face, neck, chest, arms, and hands. As mentioned, the Pixel laser utilizes fractional resurfacing technology, which is exciting because it can create the most significant improvements of the skin. 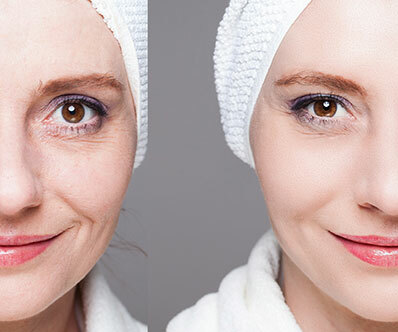 When looked at in comparison to traditional resurfacing lasers, the Pixel can target much larger areas of skin in order to provide individuals with the results they are looking for after just one session. Another benefit of the Pixel laser is that it does not require any topical creams or gels, unlike all other lasers used for skin resurfacing. The procedure involves the Pixel laser creating small microscopic marks within the skin that stimulate new collagen production once healed. This fresh collagen then works to tighten the skin while smoothing its surface all at once. The number of treatments needed in order to get the results you are looking for will vary depending on your skin, but more people see a noticeable improvement after just one treatment. Laser skin resurfacing is a targeted procedure that aims to address a wide range of skin concerns for people with all different skin types and colors. Please give us a call today to schedule your first treatment here at Euro Image Med Spa.